Apart from being one of Singapore's richest entrepreneurs, Jamie is best known as the woman with one of the largest collections of Hermès Birkin and Kelly bags. Jamie is said to own more than 200 Hermès bags—she even had to refurbish her closet to accommodate her growing collection! Jamie, a former flight attendant, hustled her way up to become one of Singapore's richest social media influencers. She is the founder of Singaporean beauty brand Luminous1, and also a mother to Cleveland, 23, and Callista, 19. In July 2016, she gave her social media followers a virtual tour of her spacious walk-in closet on her YouTube channel. In an interview with designer handbag enthusiast PurseBop, Jamie revealed that her love for Hermès began more than 15 years ago. "Being the ultimate stealth wealth symbol that a Birkin or a Kelly was, everyone was suddenly lusting after it, which made it really hard for me to lay hands on one. For me, it wasn't about what it symbolized but truly how user-friendly Hermès bags were. "Even until today, I still find that the B or the K suits my lifestyle the best. They fit the stuff I need for a day, and it's really easy to find my things in them!" Her very first Hermès was a "Blue Jean [Togo Birkin 30cm] bag with white stitches," which could retail up to $22,775 or PHP1.1 million online. What are her favorites from her famous collection? 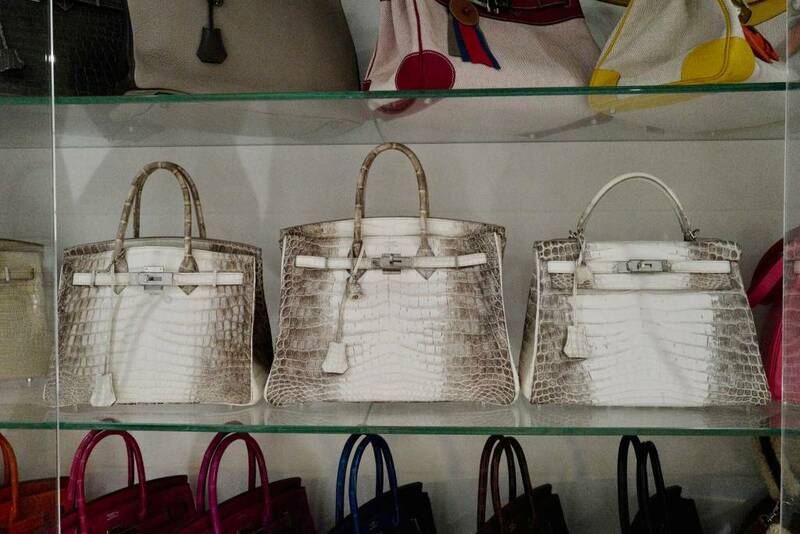 The 44-year-old beauty mogul said, "The Himalayan Birkin and Kelly are my top holy grail bags if I had to pick!" As seen in the video, Jamie owns three styles of the Himalayan line. In June, it was reported that a matte white Himalaya Niloticus Crocodile Diamond Birkin was auctioned off for a record-breaking $379,261 or PHP18.8 million. Apart from her massive designer bag collection, Jaime also takes pride in her equally-extensive designer shoes collection because they're also her "weakness."